All of us use a specific or favourite browser most of the times and sometimes others too. Using shortcut key combinations will really save your time if you work with multiple browsers. 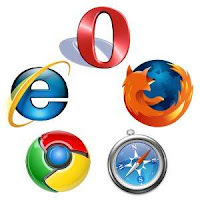 Here are some shortcuts that work in most of the major browsers. Ctrl + G (or) F3 - Find the next occurrence of the word. Ctrl + Shift + G (or) Shift + F3 - Find the previous occurrence of the word.